It will be a case of eyes down and legs 11 for the much anticipated Bingo Night in aid of the NCBI, tomorrow night , 29th March. The event, in Crumlin, which is one of the most popular events for the national sight loss agency, is being organised by local woman, Tracy Kavanagh, and a band of dedicated volunteers. Tracy, who runs the NCBI shop in Crumlin Village, says that a highly entertaining night is on the cards with the venue, The Village Inn, likely to attract a capacity crowd. “I run this fundraising night twice a year and the support from businesses and the community is fantastic. I get excellent prizes, all free, and everybody rows in behind us. It is the community at its very best. 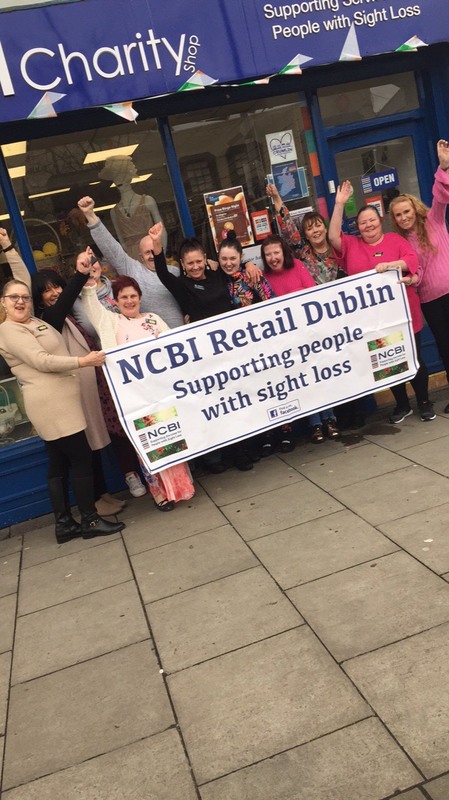 People know the work the NCBI does and they know that the charity needs funds to provide services to people with varying levels of sight loss. The people who come to the Bingo night on the 28th March will go away happy in the knowledge that they have had a super night out and supported a most worthy cause”. Tracy goes on to say “We have regular and very loyal supporters who are regulars in our shop here in Crumlin Village and it is a lovely opportunity to get together with them for a social night out , we all enjoy the karaoke after the bingo and the craic is mighty!”. Tickets for the night are priced at just €10 for a small book of bingo tickets and €20 for a larger book. All proceeds to the NCBI. The fun gets underway at 8pm.